Does Free CDL Training Really Exist? When researching “truck driving schools” on Google, you’ll find multiple school types and financing options are available. Paid CDL training, private CDL training; the terms are endless. But by and large, “free CDL training” is the most confusing and misleading of all. Free CDL training sounds too good to be true, but when other schools are charging upwards of $4,000 for school, “free” sounds pretty appealing. I mean, if you’re looking for a new, well-paying career, it’s probably safe to say most people don’t have a few grand in their pocket to fork over for training. So, is there really such a thing as free CDL training? Today I’m going to discuss just that. Does "Free CDL Training" Really Exist? I'm going to take you back to 11th grade economics here: TNSTAAFL. There's no such thing as a free lunch. "Free" is a word that gets people's attention, but nothing in life is really truly free, now is it? Free always comes with some kind of cost - an opportunity cost, if you will. 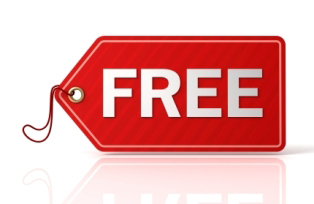 The word "free" has always garnered positive attention, but there are some things in life that just shouldn't be free. I mean, "free surgery" sounds a little shady, doesn't it? Well, so should "free school." This is your career we're talking about here, not just some free side with your dinner. Some things you should just feel more comfortable paying for. Think about it: why would companies offer CDL training at a third-party school free of charge? What would they gain from that? Trucking companies are a business just like any other - their goal is to make money. Providing a service that normally costs thousands of dollars for free would do nothing but cause the company to lose substantial amounts of money, and it should raise a red flag for you. It should stir up thoughts like, "What's wrong with this program if they're just giving it away for free?" The fact is, some companies will advertise their training program as free, but there's usually some kind of catch or employment agreement involved. Trucking companies will want something in return for investing the time and money into training you, especially now that drivers are in such high demand. (USA Today recently did a story on the driver shortage, which you can read here) Companies aren't going to give you all the skills needed to perform the job then just let you go to work for the competition. Can you blame them? So, if "free" CDL training doesn't really exist, then what's the best school option to go with? Company sponsored training is the route you want to take if you're looking to get a job after getting your CDL. These company sponsored programs are great because both parties benefit from them - it's a symbiotic relationship between the carrier company and the student. The carrier company benefits because they get safe, well-trained drivers. The student gets a CDL and a job opportunity with a reputable trucking company. It's mutually beneficial for both parties involved. Driver Solutions offers a company sponsored CDL training program for interested applicants. Our Driver Agents will spell everything out for you so you’re aware of what to expect regarding the school training process, what any associated costs will be, and what your schedule at training will be like. After talking to one of our Driver Agents, Driver Solutions' students know exactly what the costs of their training will be. They know what they'll make when they go out on the road with a trainer, and they know what their starting pay at the company of their choice will be when they complete OTR training. There are never any surprises. What are the details of tuition repayment? What is the maximum amount that I will be responsible for in payment? What is my obligation to the company that provides me with this "free CDL training?" The important thing to remember is not to believe everything you hear. Be wary of companies offering free CDL training, and be sure to do your research if you're looking at a school that makes this claim. Just because a school says it's free doesn't mean that's the case. Most likely there are some hidden fees that they're not telling you about. It's better to know before you accept the offer and start school than to arrive at training completely unaware of the cost, only to have a contract and $5,000 bill thrust at you. Do your research! If it seems too good to be true, it probably is. Driver Solutions offers a company sponsored CDL training program to get you on the road as a professional truck driver. Ready to begin your new trucking career? Fill out our no obligation online application! From there, you can schedule a time to speak with one of our Driver Agents.